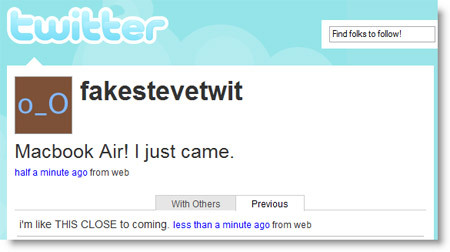 Fake Steve is twittering live from the Macworld San Francisco Keynote. 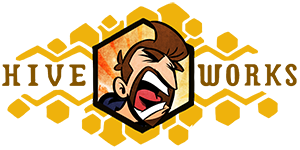 ARS’s liveblog seems to be more fuctional than others. 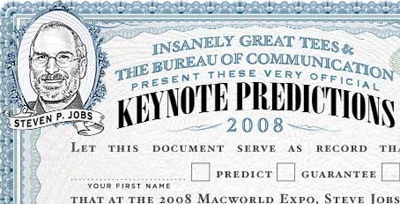 Check out this contest with a MadLibs style Keynote prediction form.